Invented in 2018 by Maria Buarque in Sao Paulo, an Afaster consists of 16 gravity redirectors placed in a 400 mile wide ring. The name arrived from an exchange between Buarque and an American reporter who misunderstood her repeated use of the portuguese word afastar, meaning to move away from, as the title of the technology. By slightly changing the direction of gravity, the redirectors funnel a large swath of earth&apos;s gravitational pull within the planet&apos;s mass. The effect is undetectably slight but on a massive scale. As the funneled gravity passes through the earth&apos;s core, it convenes into a focussed gravity stream directed outward from the center of the earth. On that path is a small patch of the earth&apos;s surface known as a fall site, where things fall upward. While an Afaster&apos;s fall site may appear to employ a high powered, anti-gravity technology, it is merely on the path of displaced gravity from the other side of the planet. The 16 redirectors require no energy to operate; the Prius-sized devices are relatively cheap to fabricate, containing layers of printed dark matter micro-membranes that slightly alter the direction of gravity via the rhythm of their succession. A diagram of an Afaster gravity funnel. Given the boundless size of space and its high toxicity relative to earth&apos;s delicate ecosystem, the US quickly implemented Afasters to dispose waste with no conceivable detriment to the universe. In less than a year, humanities waste problem was solved. Afasters only pause for the rare passing of the moon. The artist whose work I am curating, and to whom I will be referring as the Afastronaut, appears to have discovered a mistake in the scheduled interruptions of New York&apos;s fall site. Apparently, a slight change in the moon&apos;s orbit due to the mass of the United States&apos; waste streams had gone unnoticed by waste management, resulting in a brief period of up-falling trash to accidentally collide with the moon. The Afastronaut, knowing this in advance, made a suit to compress the light atmosphere sent up with the waste and to protect him from extreme variations of light and heat. He seems to have brought some tools with him and scavenged food from the massive amount of trash in which he stowed away. In 1802, while climbing mount Chimbarazo in the Andes, explorer and naturalist, Alexander Von Humboldt reached an unprecedented altitude above the mountain&apos;s snowline. He looked down from his barren surroundings at a flourishing interconnected natural habitat bellow. He began to see nature as a global living organism. 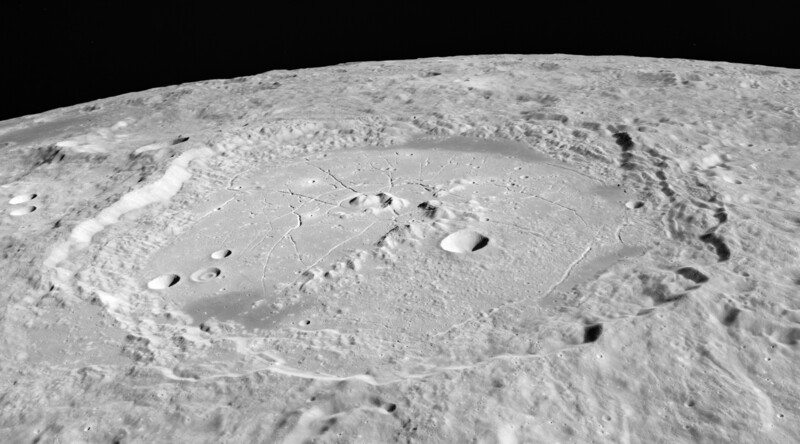 It should be no coincidence that during his 2019 residency on the moon, the Afastronaut stationed himself in an impact crater named Humboldt after the late naturalist explorer. He seems to have witnessed a similar vision to that seen by Von Humboldt more than 2 centuries earlier. Watching it longingly from the barren lunar surface, he refers to earth as "the living planet" and as "a life." Unlike Humbolt, who immediately descended after reaching such perilous heights, the Afastronaut had to wait a year before being taken back to earth by a droned spacecraft. His works can be understood as a means of surviving his situation. While orbiting a living planet his longing for what he left behind was only made bearable by his art practice which he apparently developed on the moon out of necessity. He coined the term Saudavita while on the moon to refer to his longing for the living planet or, more specifically, living things. In his 2017 book Endurance, chronicling his year orbiting earth on the international space station, Astronaut Scott Kelly predicted "In the future there will be a word for the specific kind of nostalgia we feel for living things". The anonymous artist has, perhaps unwittingly, answered Kelly&apos;s request by combining saudades and vita. Saudades, is a Portuguese word that means longing, nostalgia and the inability to live without. Saudades had been used to describe a kind of homesickness by sailors and conquistadors during Portugal&apos;s colonial expansion. The word was later romanticised by musicians and poets from Brazil&apos;s Bossa Nova and Tropicalia movements during the end of its succession of dictatorships, during which some artists were expelled from their home country and only able to communicate through the art they produced. Vita is Latin for life. When Astronaut Scott Kelly predicted that people would need a word for "nostalgia for living things" he was likely referring to those who would travel to Mars and beyond when in actuality the word may find its most common usage by those still living on earth. Witnessing the works of saudavita may compel us to avoid the conditions that would merit the word&apos;s adoption into common language. Here is a short video comprised of footage taken by the Afastronaut during his residency.